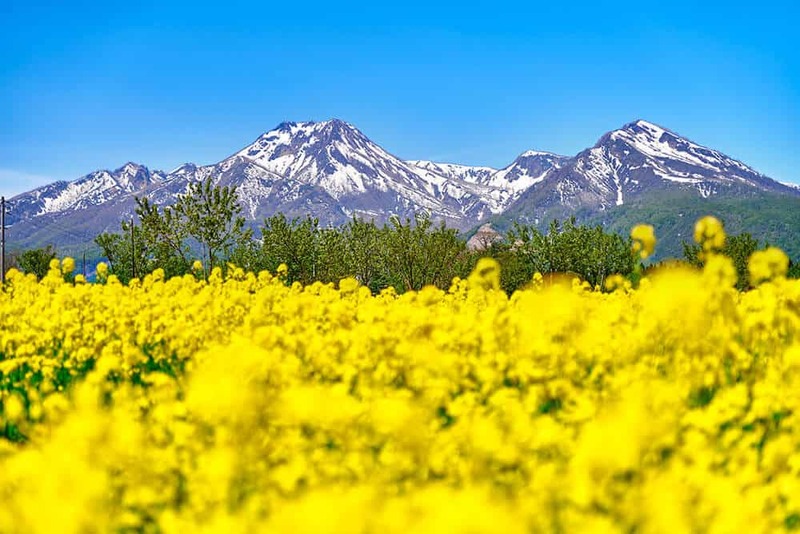 Daidohara flower fields come into bloom at the beginning of May each year. 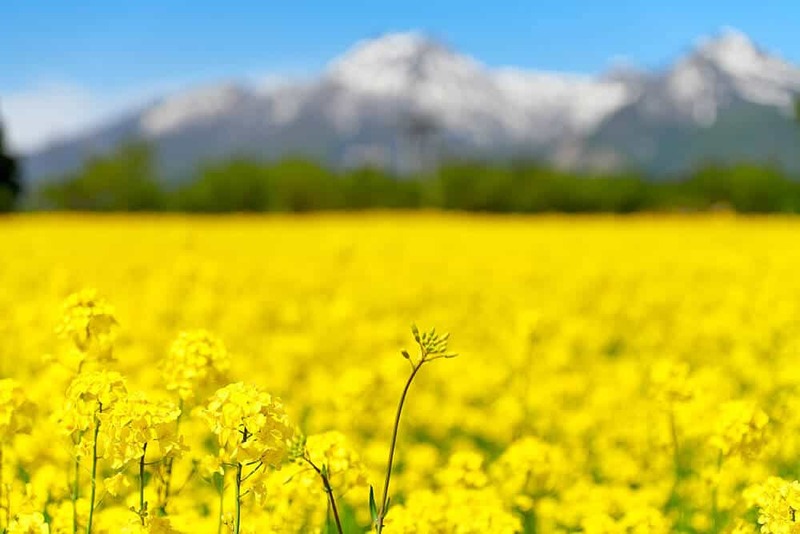 The fields are canola (rapeseed) flowers. 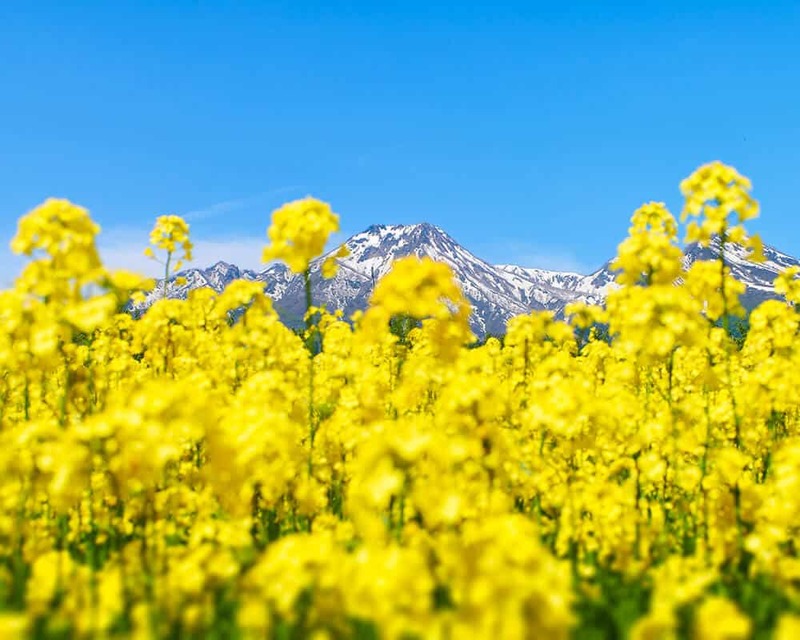 While canola fields can be seen in many places, what makes Daidohara so special is the location and the amazing photos you can take at this spot. Daidohara is a popular spot for many photographers and some of the images of the area are spectacular. Mt Myoko poses majestically in the background and if you can get a blue sky day then you can easily get a photo worthy of any postcard or poster. The area is free to visit, so will add no extra cost to your trip. The easiest way to reach the area is via car. The spot is easy to find and is just 5 minutes off the R18 main road that runs towards Joetsu. You will need to turn left at the cross roads junction when you see Tomato Farmers Market. You can reach the area via public transport. You will need to take the train one stop from Myoko Kogen to Sekiyama station. From the station you can ride the bus below to Daidohara flower fields. Free to visit. A great photo spot. If you love taking pictures this an amazing place to try to get the perfect postcard photo of Myoko. The nearest restaurant is Tomato Farmers Market. Kids should have fun in the fields of flowers.